With the recent macOS Mojave update, we have received several issues from users whose Mac computers weren't being tracked by Prey. This issue started appearing in the Sierra update, and repeated itself in High Sierra. Is the result 80? If it is, let us know in the comments and we'll contact you for further troubleshooting, if it isn't 80, go to step 3. On macOS devices, Prey works under a secret user that handles all requests with the proper special rights. Most macOS updates tend to unset this user, thus disabling Prey. I got 80. But I can still see my MBP on the map in the panel. Anything I need to do? Estimados, me aparece 80 como respuesta al comando que indican en el post. Qué se hace en este caso? Me aparece 80 con el comando indicado, favor indicar como seguir, gracias de antemano. I ran the suggested command and received an 80. 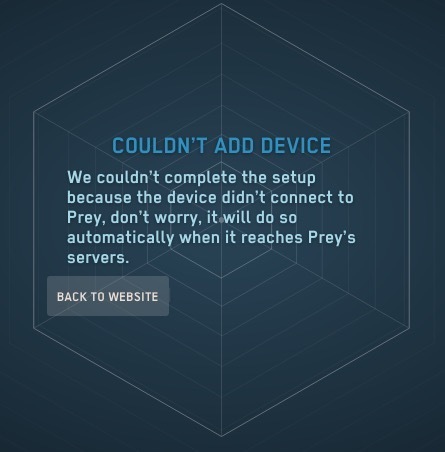 Did you try re-installing prey? I just reinstalled it and ran the test again. It gave me the response of 80 again. Same here... got 80. Full uninstall, full reinstall and still got 80. Mac not showing in my account even though it's clearly being counted as one of my devices. Thoughts? Thanks. Hi @royvella, getting 80 it's a good sign. Can I see your /var/log/prey.log file? Of course... tried to attach and it wouldn't let me so I screenshotted the end of it. Is this enough? Seems like your device didn't configure correctly. 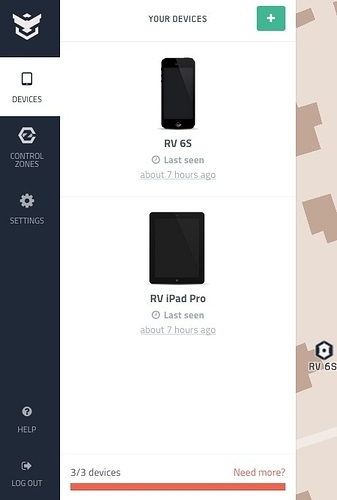 (two ways to configure your device). Let me know how it goes. Second, take me to the GUI but doesn't let me login as it states: "Error! Account is valid, but no available slots are left." In either case, the Mac's still not showing up on my dashboard of devices which says I have 3 but only shows 2. Make sense? That's odd.. can you attach a screenshot of your dashboard? There's an iPhone, an iPad and this Mac... the Mac's having the issue. I ran the first command and also got 80. I am running Mojave and Prey is not tracking my laptop. I ran the first command and also got 80. What is the next step?